Hi everyone! I hope you’re enjoying your Saturday, whether it’s your lazy day, or your run-around-get-things-done day 🙂 It’s usually a combination for me; I usually sleep in, having had a class the night before, but once I’m up, it’s go, go, go. 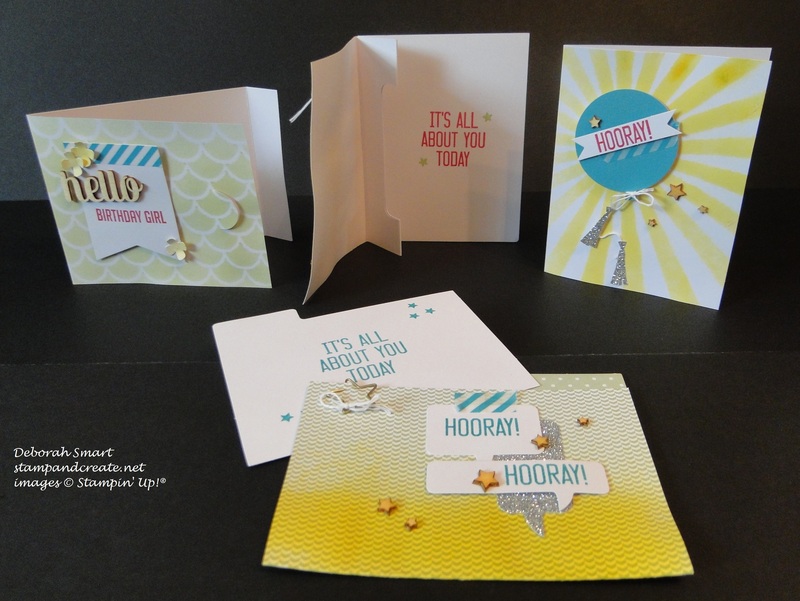 We had such fun last night with the Hooray It’s Your Day Project Kit, that I wanted to share it with you. 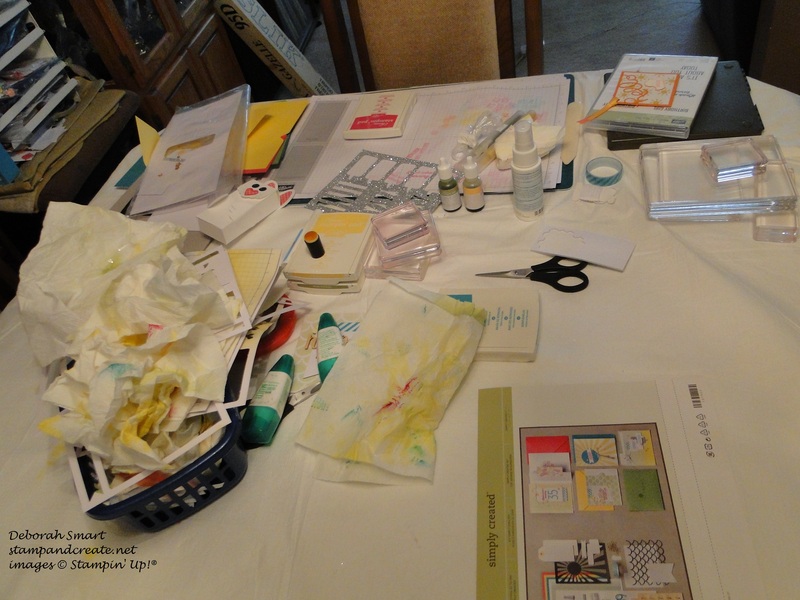 Unfortunately we were so busy during the class, that I forgot to take pictures 🙁 , but here’s a picture of what I call “craftermath”; you know, what your craft area looks like after a spectacularly productive session! 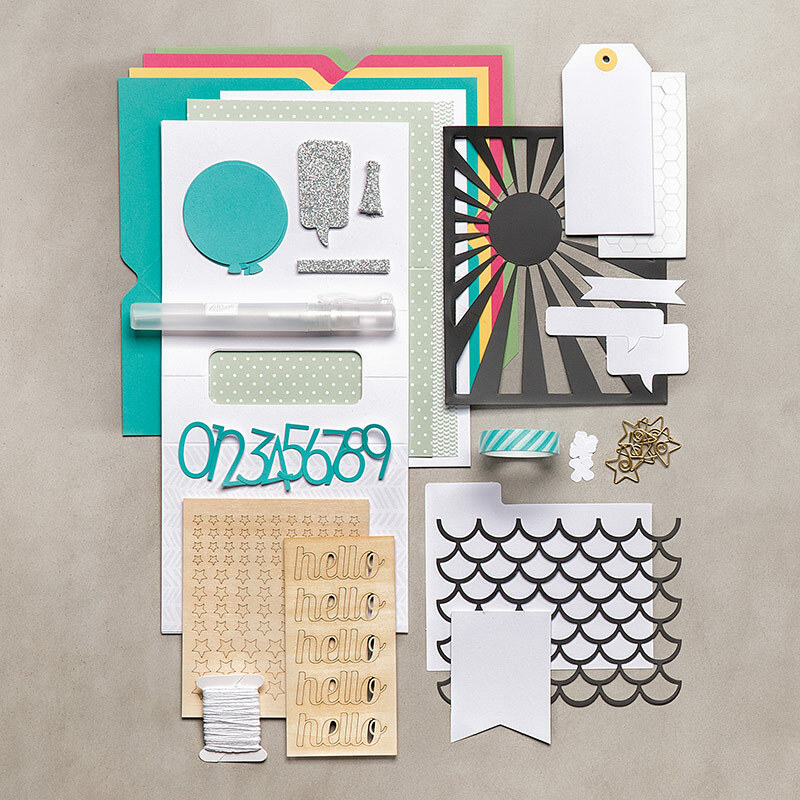 I mean, sure – you think to yourself ‘wow, it’s got lots of parts to it!’ – but everyone at the class last night was so impressed with how all the cards come together, and how you use all the parts of the kit (and have so many tools left over, after building the cards – like the stencils and the spritzers); one person said that it “exceed their expectation”! 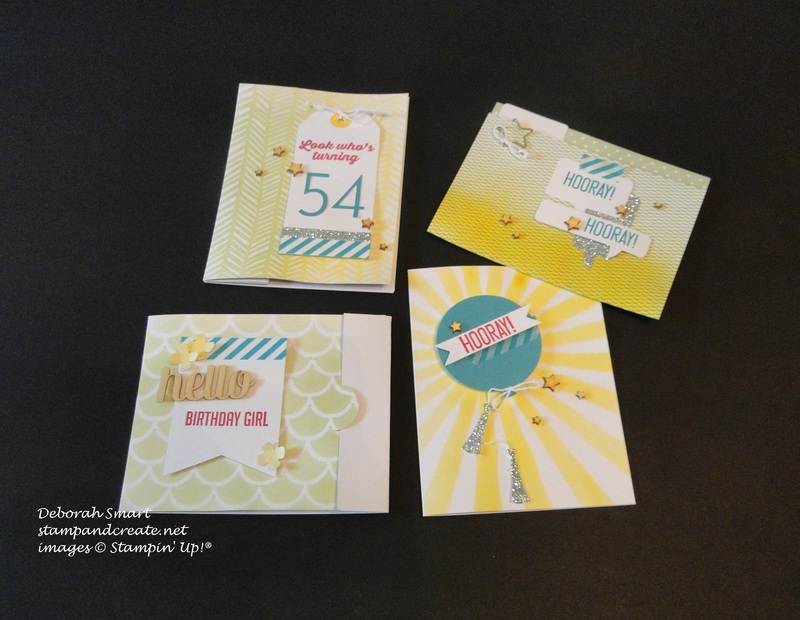 You can see on the far left the tab card, which used the scallop stencil, then the gift card holder; a standard card with the balloon which used the sun stencil; then in the front is the file folder with the ‘tab card’ insert – these are so cute, and unique! If you’d like to order this kit, or any of the products we used making it, just click on the picture icons below, and you’ll be taken directly to my online store. 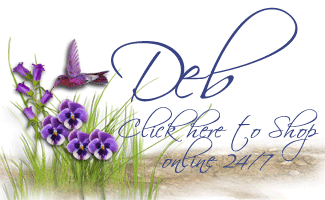 Next Next post: Butterfly Basics Bundle – Good News Coming!